Conan O'Brien never misses a new Apple release without making a good skit out of it, and we've already witnessed Conan's takes on the iPad 2 and Siri, among others. The red-haired comedian now pointed its mocking gun to the new iPad, and, since nothing really negative can be said about a 9.7" screen loaded with more than 3 million pixels, he went in a different direction. It's not the screen itself, but rather what people usually do with even the most high-tech toys that is in the crosshairs of Team CoCo in the video below, but we won't spoil the fun. If we were conspiracy theorists, Conan's jabs at Apple and other competitors can be attributed to the advertising dollars Microsoft is spending on the show with Bing and other ads, but so many comedians - from Jon Stewart to Bill Maher - have made Apple's gadgets a favorite sarcasm target, that we would probably be overboard. Its funny because its true,The real apple ad will use more 'wow' and 'amazing,you want it' commentary though!!!! well, that's what ads are usually about, right? 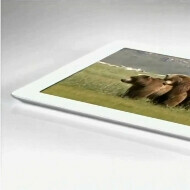 It was funny, & he called it as it is, the new iPad is not that different at all. It looks & has the same EXACT dimensions as the iPad 2. It's funny how all the iFans always made fun of HTC because their designs are the same looking but now we have the iPhone 4 & 4S exactly the same & now the iPad 2 & the new iPad, EXACTLY THE SAME! Let's see if the Samsung Galaxy SIII looks exactly the same as the Samsung Galaxy SII, I bet it won’t! I just tried to simulate 0.6 mm between two fingers, surprise surprise, I couldn't see it. Excuse me what what exactly is the HTC Titan 1 and 2? Or the Sensation and the Sensation Beats edition? Sensation beats edition was called the Amaze. :) And they came out like 6 months apart not a year apart. Not a fan of recycled designs either way. "since nothing really negative can be said about a 9.7" screen loaded with more than 3 million pixels" lol. you guys are on "Lets love Apple" mission. Funny commercial, but the article itself said that Apple gadgets are a favorite sarcasm target by many comedians that in itself is reason enough to know that it's not about hate at all. It's the simple fact that so many people "need" to have Apple devices and judiciously sit awaiting a new release months in advance...why would you not make fun of people who do such stupid things(do they have jobs?) So like intelligent comedy you point out the obvious, it doesn't look any different as the opening statement and then touts the amazing screen clarity which is a plus but is that really a reason to rush out and replace the one you just bought 6 months ago? iFan will say of course yes, and scurry off to hand over money while being porked in the rear just to be one of the "elite" to own the New iPad! Yay! Yes, HTC does produce designs that seem to look the same all the damn time, only the Droid Inc looks different compared to HTC catalog of phones. Conan has been a diehard apple user. I dont know why our resident chicken is all up in his grill. As a comedian seen on TV every night, its your job to pick on everyone.. and yes even apple gets a turn.